This book is based on the experiences of Ricky Richard Anywar, who was a child soldier in the Ugandan Civil War in the late 80s, early 90s. The book talks about his experience from the time he was essentially kidnapped into the child soldier world until his escape from it. It was definitely an eye opening book that makes you realize the things we take for granted. 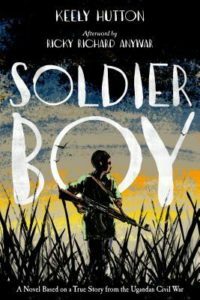 Soldier Boy is a book full of heartbreak but also hope. I really liked the story, and the takeaway, and feel that everyone should read this book.